If you’re someone who browses around the Internet for creative or culinary inspiration, you’ve probably stumbled upon a site called Pinterest. 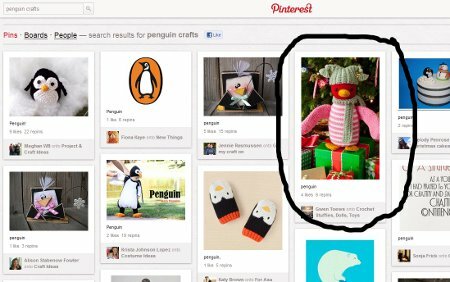 If you’re unfamiliar with this “Pinterest craze,” I’m here to tell you exactly what this site is…and why you should be using it! 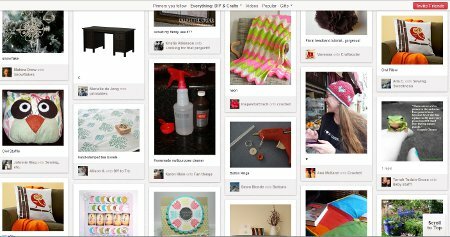 Plain and simple, Pinterest is a virtual peg board that allows you to sort, share, and view all the beautiful (and random!) things on the Internet. You can search for something specific, like knitting projects or handmade jewelry designs, or you can browse much larger categories, like DIY & Crafts, Weddings & Events, and Holidays. To understand how to use Pinterest, there are a few words you need to know. Most importantly, the word “Pin.” A pin is an image added to Pinterest. So every time you upload an image or add someone else’s image to your board, you’re adding a pin. These pins are then arranged on what are called “boards.” A “board” is a set of pins that share a common theme. 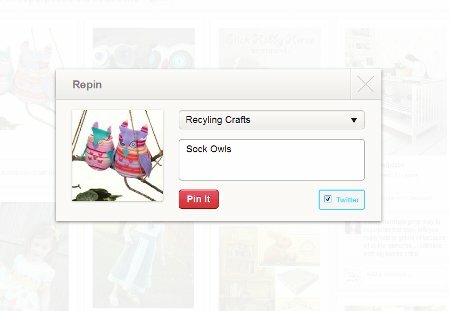 For example, you could have a board called “Recycling Crafts” and it would be filled with various pins you found on Pinterest. You can have as many boards as you’d like…and each one of those boards can have as many pins as you’d like. With me so far? 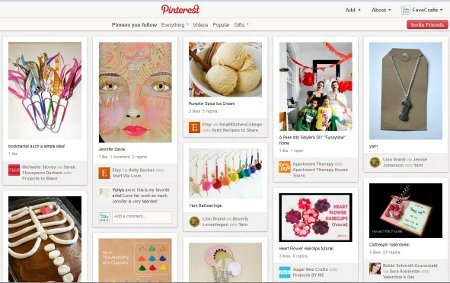 Now anyone who comes across Pinterest can view images, but in order to create boards and add your own images, you need to be a member. To become a member, you can request an invitation directly through the Pinterest Web site or, if someone you know is already on Pinterest, they can send you an invitation. Once you’re a member, you have full range of Pinterest’s tools. You can create boards, upload pins, and follow the boards of other people that you like. For example, I have a DIY Craft board of my own, but my friend also has a DIY board…so since I’m a Pinterest member, I can follow her board so I’ll be updated on when she adds new pins to her board. Pretty cool, huh? Now, the million dollar question. This all sounds well and good, but why should YOU use it? 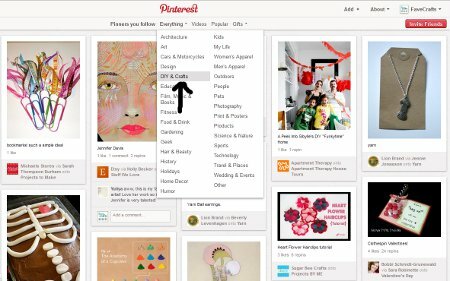 As a blogger myself, I can tell you that Pinterest is one of the easiest and best ways to drive traffic to your blog. Post recipes you’ve made, crafts you’re working on, and even your plans to renovate your house or make your own wedding invitations. It’s also the best inspiration tool I’ve found on the Internet. I’m constantly inspired by what I find on Pinterest and, since people are adding pins every day, there’s always something new! One of my favorite reasons for using Pinterest is seeing what all my friends are finding! I love looking at my friends’ recipe boards and craft boards to get inspiration for my own meals and projects! My brother’s fiancee is also using Pinterest to look for wedding ideas…and I love checking in to see what new DIY ideas she’s found! I’ve even repinned a few of her ideas into my own wedding board. 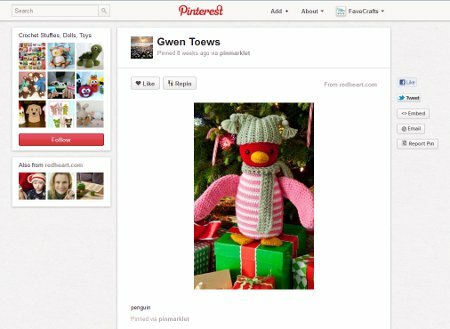 Another great tool Pinterest has is the ability to share your pins on Facebook and Twitter. Once you pin a photo to a board, you will have the option to automatically share your find on these other social media sites, so all your friends who aren’t on Pinterest can see all your cool discoveries. 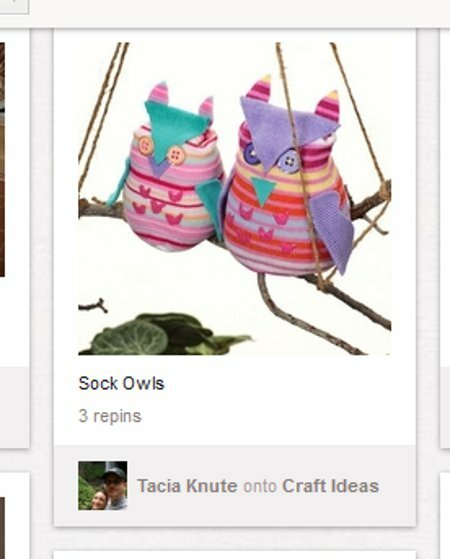 For example, I was browsing around Pinterest and found these cute Repurposed Old Sock Owls. I thought they were so cute and I wanted to share my find on Twitter…so I simply placed my mouse on the image and got a drop down menu with three buttons, “repin,” “like,”,and “comment.” I clicked the “repin” button and got this screen. As you can see, there’s a little check box for Twitter. By clicking that, all my Twitter followers will be able to see this cute project I found on Pinterest! 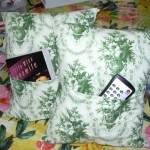 I placed this craft in my “Recycling Crafts” board, so all of my followers on Pinterest will see it, too. 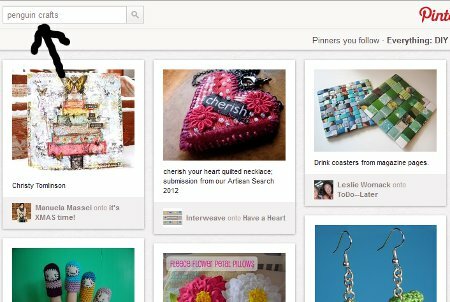 Pinterest really is one of the best ways to explore the wide variety of crafts, projects, recipes, and ideas on the Internet. 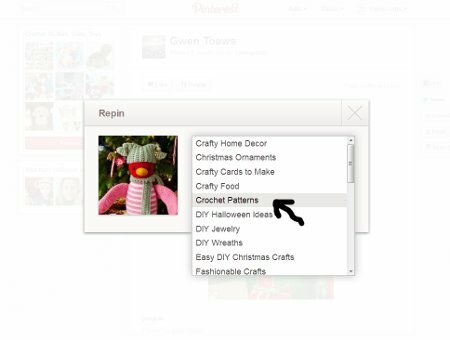 It’s all in one place, making it easy to keep your pins organized and to see what your friends are pinning as well! The best way to really learn Pinterest is to jump right in! 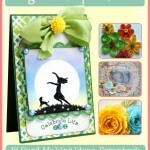 Head on over to www.Pinterest.com. As you can see, you’ll have access to view all the images, but you’ll need to request an invite in order to do everything else. You can search for something specific in the search bar in the upper left corner or you can browse around the major categories, found under the “Everything” tab in the top center of your screen. For our purposes, I’m going to click on the DIY & Crafts category. Now I’m only looking at pins that are DIY and craft themed. There’s a vibrant crocheted afghan there! That’s sure to brighten up any room! There is also a cute felt owl craft and a rubber stamping tutorial about stamping on fabric. So you can see just in this small block that there are a wide variety of projects on Pinterest. Now I’m looking at a different page. I can see my image in the center, and above it are two buttons, “Like” and “Repin.”. Clicking “Like” will allow me to “like” this image, similar to Facebook. If I click “Repin,” I can place this image on one of my existing boards…or if it doesn’t fit on any of my existing boards, I can create a new one. Thankfully, this pin is perfect for my “Crochet Patterns” board…so I am going to “pin it” there. If you look to the left of the screen, you’ll see a small picture grid. This contains all the other pins in this person’s crochet board. If I wanted to, I could click “follow” and I would automatically be notified as soon as another pin was entered into this board. If I click on the image itself, I should be taken to the original source from which this project came…and wouldn’t you know? You can find that very Huggable Happy Colors Penguin craft at FaveCrafts! So you see? It’s as easy as that! As you can probably tell, it’s so easy to become addicted to this site! I can spend hours browsing around here without even realizing it! What’s your favorite thing to search for on Pinterest? 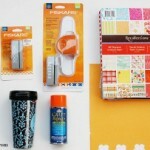 I’m always searching for DIY ideas! Have you found anything to inspire you to create something? I have been following Pinterest for a few months now. I even have some people following what I follow. You can learn how to do everything you can imagine! I have been using Pinterest now for a few months. I am a crocheter and before Pinterest I would search for a pattern to make a new item such as a scarf, hat, mittens and then save them in folders on my favorites. However, when I went to my favorites I only had websites and names of scarves. NOW with Pinterest I have a pictures of all the scarves I have found and can choose easily which one I want to make next. It is a new improved way of doing folders. Very good blog , thank you very much for your effort in writing the posts .